1. 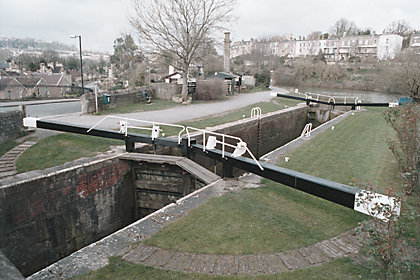 823 KENNET AND AVON CANAL Second Lock ST 7564 NE 20/800 II 2. Brick-lined basin with stone dressings. In course of restoration.